When it comes to body piercing jewellery and piercing tools, you can’t go wrong with ABK Piercing Supplies. With over 20 years in the industry and a wide network of suppliers and manufacturers, we offer the largest range of professional wholesale body piercing tools and jewellery in Australia. We place emphasis on quality and reliability: our piercing needles are TGA-registered to guarantee the safety and peace of mind and our range of professional products regularly exceed the highest industry standards. In addition to sourcing only quality wholesale body piercing tools and materials, we also strive to match you with the latest trends and hottest designs in the industry so you can continue to inspire your clients. At ABK Piercing Supplies, we aspire to be your trusted wholesale body piercing tools and jewellery partner. We supply the highest-grade body piercing jewellery, backed up by years of rigorous research, and safe-to-use body piercing materials. We are always on the lookout for innovative concepts: because with ABK Piercing Supplies, your business is our business. Get premium quality wholesale body piercing jewellery and tools at affordable prices and attractive quantity discounts. 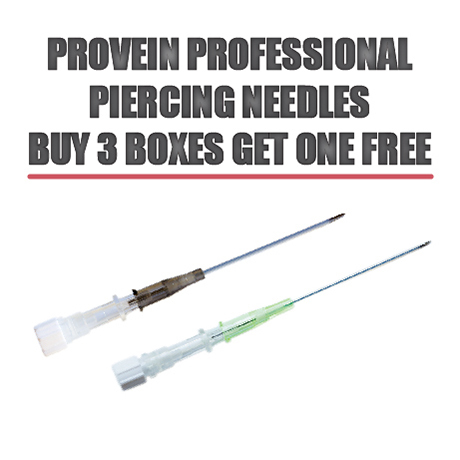 Shop the largest range of professional grade body piercing tools, supplies, and jewellery in Australia.